I picked this up at a flea market in Wise County. 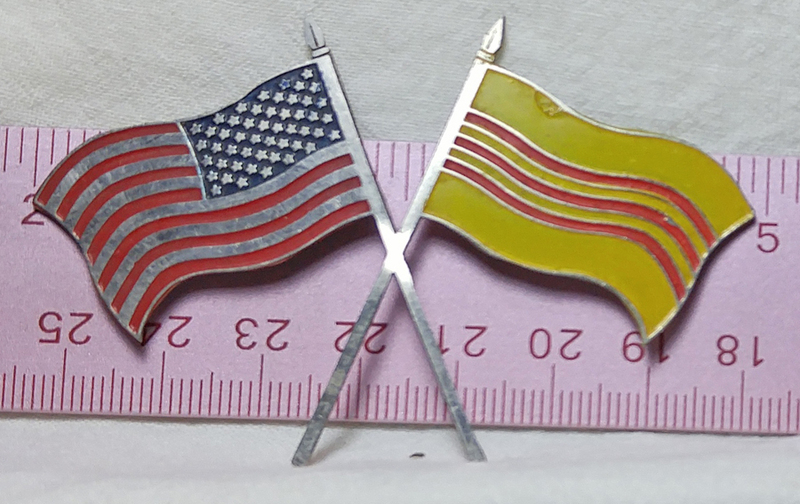 I know the right hand flag is the one used by South Vietnam from 1955 – 1975. The piece is flat with nothing on the back except two splotches, one behind each flag, where this was glued to something. Posted in Bob Lawrence Photography and tagged South Vietnam flag 1955 - 1975, United States flag and South Vietnam flags with crossed staffs. Bookmark the permalink.